Intranets are the hub of a business. The employees go-to place for business critical updates, information and collaborative working. With more and more of us working across different locations, and time zones, the challenge of initiating and maintaining employee engagement is a complex one. I’m going to talk about how video can be a great tool in keeping your intranet users engaged and motivated. If you would like to find out more about how our intranet software can help you, book a demo with our intranet experts. According to the 2013 Gallup Survey, Only 13% of employees worldwide are engaged with their busiiness. This means 87% are not engaged or indifferent. With the rise of social features becoming commonplace within intranets, changing work behaviours with bring your own device to work being more common, it’s not surprising that video is fast becoming a way of generating interest and employee engagement. Here are some ways that I think video can help your employee engagement. 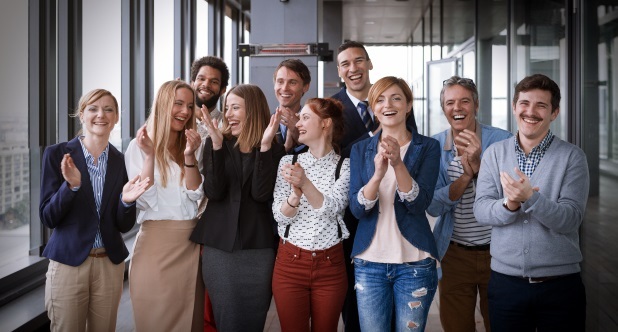 Using your intranet to show the different locations, team members and what goes on is a great way to connect your teams. With more and more employees accessing the intranet through their smartphone or tablet, from multiple locations and countries, video is a great tool for bringing everybody together. Video is a great tool when working collaboratively as it provides a tool to capture expression and understanding which is sometimes restricted with emails, calls and documents. In some organisations, senior management regularly post video news updates or interesting “on location”. The videos are shot by themselves on their smartphones and capture the moment they want to share with everyone. It’s a great way of breaking down barriers and bringing everyone together with one shared goal. Video can be a great addition to your social intranet functionality. If employees can comment, like, share and rate your video and even record their own response with their opinion or further insight. I hope you have found this blog useful. Do you currently have video on your intranet? How are your employee engagement levels? I’d be really interested to know your thoughts. Please share your experiences by commenting below. If you would like to find out more about SORCE intranet software, book a demo with our intranet experts.